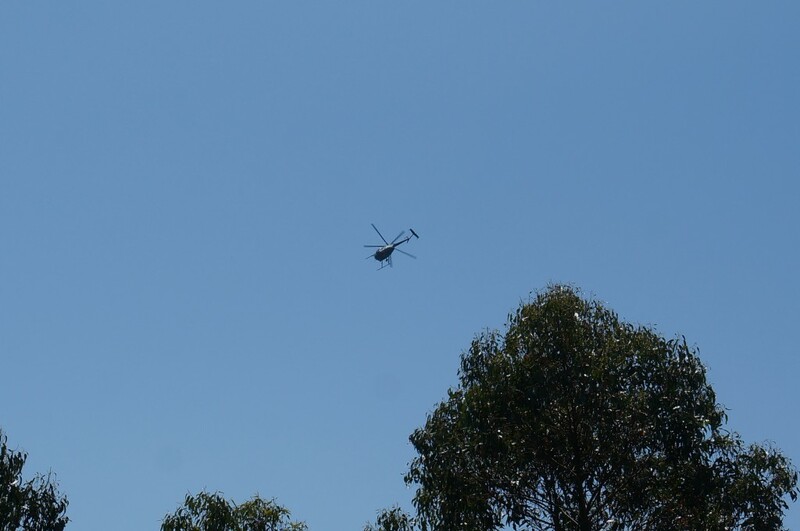 Today the air smells like smoke and the sky is buzzing with helicopters. I suspect they’re monitoring the fires north of us that are burning out of control. I am watching them circle the Bay and thinking about the Oakland Hills Firestorm in 1991. We didn’t lose our home but close friends did and I remember the shock and confusion as we sat together in our front room and watched the television reports of their neighborhood burning. The afternoon sun glowed red in a sky turned black. For days ash rained down on our cars, yards and homes. For months afterwards the burn area looked like a moonscape. You grew quiet when you drove through it. Out of respect. And also because you felt relieved and somewhat guilty that you’d been spared. For now our house seems to be safe, but my new garden is suffering. The deer have become more aggressive—eating newly planted bushes they’d left alone until now. Perhaps they would have anyway, drawn by the apples ripening on the front yard tree, or maybe the fires are driving them closer to the water. Just to be safe. Some other things I tracked this week. Keeping gravity at bay with the Lexus Hoverboard. Some nifty summer drink ideas (including non-alchoholic or easy to make so options) here and here. Would it be optimal to die at 75? Smart talk about Jon Stewart. “If you have information to send out through space and time, you must build it a story that knows how to motor.” On symbolism and metaphor–author Neil Gaiman by way of Justine Munk. I bet this is what surfing feels like. WAVEFORM from O’Neill on Vimeo. This entry was posted in Spirit, Style, Sustenance and tagged design, drinks, media, surfing, writing. Bookmark the permalink. Post a comment or leave a trackback: Trackback URL.